Minister for Arts, Heritage and the Gaeltacht, Heather Humphreys TD, presided over the 2015 Annual Famine Commemoration in Newry. 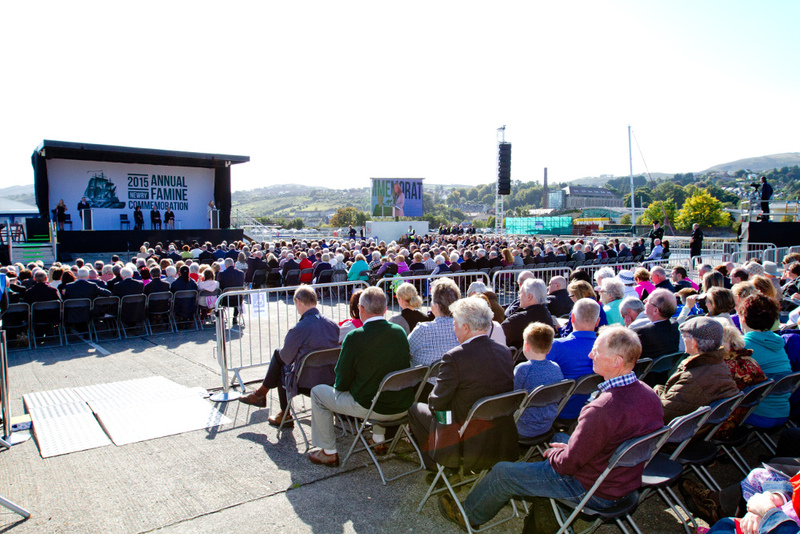 The main commemorative ceremony took place in Albert Basin, Newry on Saturday 26th September. Also in attendance were deputy First Minister Martin McGuinness MLA, Minister for Arts, Culture and Leisure, Carál Ní Chuilín MLA, the Chairperson of Newry, Mourne and Down District Council, foreign dignitaries to Ireland and Honorary Consuls to Northern Ireland. A commemorative monument was also unveiled by Minister Humphreys on Sunday 27th in Warrenpoint, Co. Down.